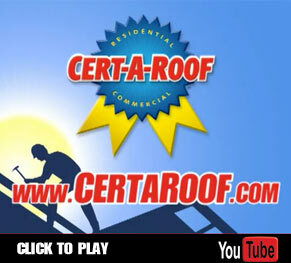 The Industry Leader in the entire roof inspection, repair, & certification process. Our patented Leak Free® system guarantees your house will be ready for sale or enjoyable living in 3 quick and easy steps. All Cert-A-Roof inspectors and contractors are NRCIA certified and trained to perform inspections and issue LeakFREE® Certifications for all residential and commercial roofs.